CCBRT seeks to recruit individuals who are passionate about serving people living with disabilities, as well as mothers and babies. Our staff are known for their expertise and compassionate approach, putting the patient first in everything we do. We foster a culture of improvement and innovation through staff collaboration and initiative. 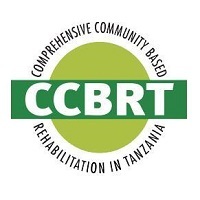 Comprehensive Community Based Rehabilitation in Tanzania (CCBRT) is a local registered Non Government Organisation first established in 1994. It is the largest indigenous provider of ophthalmic and rehabilitation services in the country. CCBRT aims to be the leading provider of accessible specialized health services in Africa and serves as healthcare social enterprise.Through different development programmes under CCBRT, the community and most vulnerable are served. Committed to preventing life long disabilities wherever possible. CCBRT is also engaged in extensive maternal and newborn healthcare (MNHC) activities including obstetric fistula repairs and is currently constructing a Maternity and Newborn Hospital. We are looking for a technical support officer who monitors and maintains computer systems and networks within the organization. He/she is the first line of support for any issues or changes required by the customer. The individual plays a critical role in ensuring service continuity for the business. Actively participate in System and Infrastructure changes roll out. Take ownership of Incidents and Problems assigned to Infrastructure Support and ensure timely solution. DEADLINE FOR APPLICATIONS: 7th December, 2018.